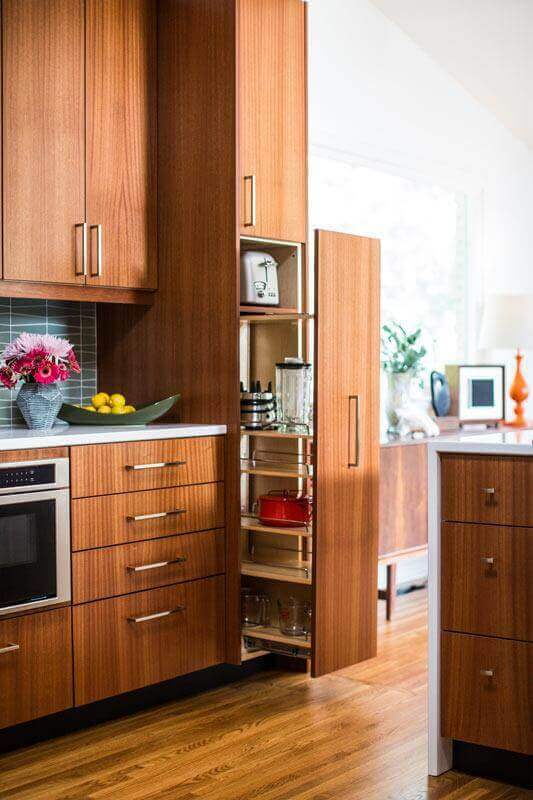 Taking cues from the existing architecture of the space, our design challenge in this 1960’s home was to maintain the vintage feel of the home while maximizing function in the kitchen. Form follows function in this small kitchen. We worked with our client to create layers of visual interest and add unique design details that would further punctuate design appeal of the home.